I was born in 1955 in Beverley, E Yorkshire and was registered blind at a young age. My initial education was in Sheffield and Worcester, followed by spells at Hull and Liverpool Universities, studying theology and social work respectively. Following training at RNIB’s commercial Training College I Worked as an audio typist for the DHSS, as a Secretary and PA for RNIB and also as a Lifelong Learning Coordinator for Action Disability Kensington & Chelsea. In recent years I have worked as a freelance visual awareness and disability equality trainer, particularly in hospitals. This involves training doctors and nurses and, as an actor, taking part in their examinations. I trained with Graeae Theatre Company and have worked as an actor, particularly with Extant, Britain’s only professional theatre company of blind and partially sighted people. With Extant I have toured as a cabaret artist to cities such as Zagreb, Helsinki and Berlin. I am also a trained singer, and have given solo recitals and regularly sing with local choirs. I am very experienced in voluntary work, including for many years being Chairman of my local Tenants’ Association. I am also Vice-Chairman of the Hammersmith & Fulham Disability Forum. In this role I have negotiated with my local council on the accessibility of pavements and crossings. 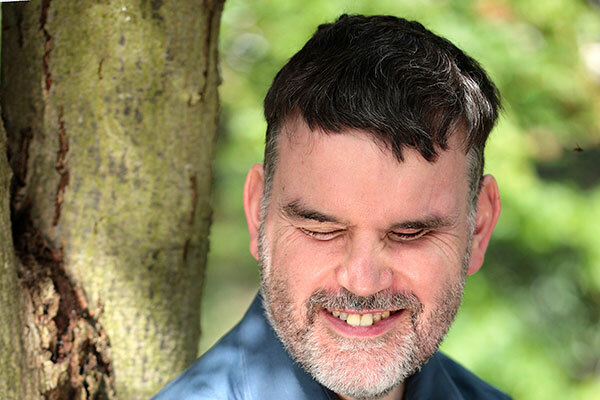 I am also currently Chairman of AddVenture in Learning, a charity devoted to running accessible residential courses for blind and partially-sighted people. I have been a member of NFBUK since 2011, was elected Secretary of the London Branch in 2013 and their Chairman in 2015. I have been a member of their EC since 2013 and became their Vice-President in July of this year. My interests are mainly in the arts, but I am also a keen reader and follow sport, particularly cricket and football and I swim regularly to keep fit.